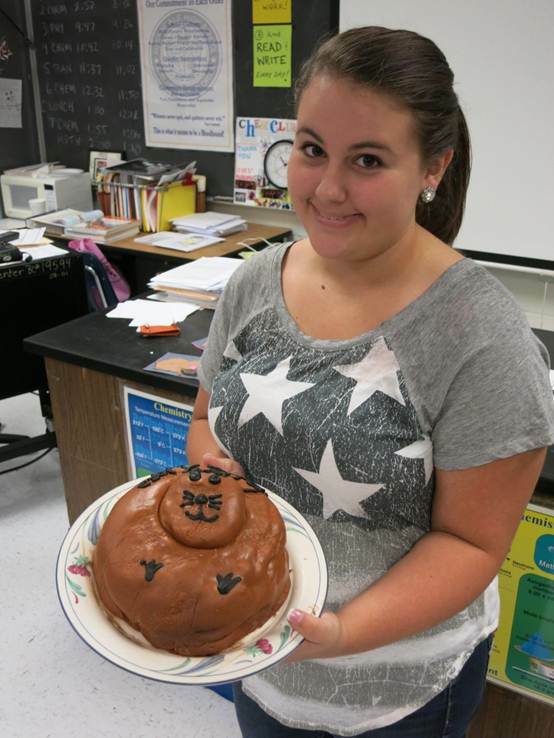 Auburndale ChemClub Celebrated Mole Day in Style! Mole Day for Auburndale High School’s ChemClub in Auburndale, Florida, was filled with activities. Mole Day greeting cards were delivered to the school’s faculty and staff. Teachers were “moled” by students asking them to wear handmade Mole Day ribbons and stickers. A school-wide video segment about Mole Day aired in the morning, explaining the development of the mole concept and its importance in chemistry. Students also used a mole of aluminum potassium sulfate to grow alum crystals. Projects ranged from Mole Day flags to Mole Jeopardy games to Mole Day treats. 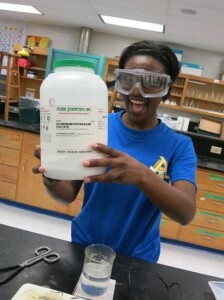 In the midst of stoichiometry calculations, students can recall Mole Day and know that chemistry can be fun! Next Post Get Your Free Chemistry Samples Here!